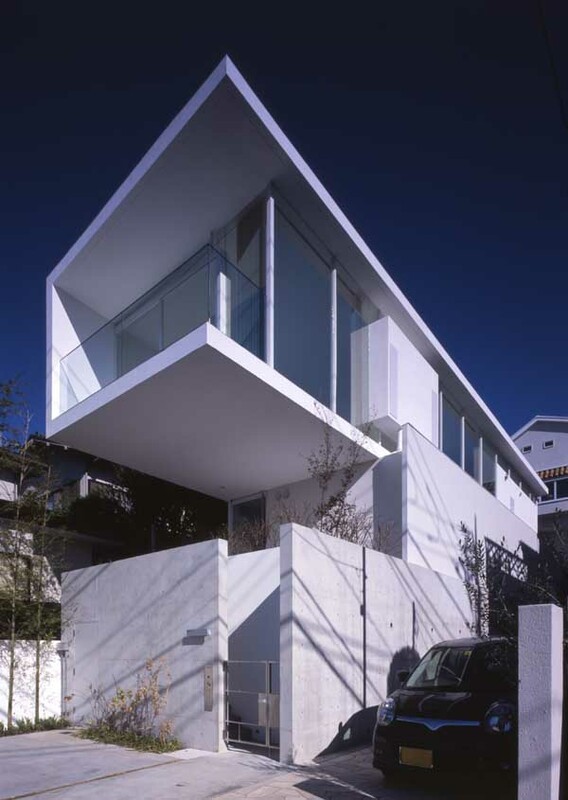 Mita Residence is situated in central Tokyo on a sloped street which connects a busy commercial artery and a quiet residential area. The typical buildings along the hilly street are larger scale condominium complexes. The challenge was to place the house within bigger scale buildings seamlessly, and at the same time, to ensure a comfortable and spacious living environment on its small lot of just over 100 square meters. Not only in the context of a culture so based on the transitoriness of nature, being able to live with the seasons in the middle of today’s Tokyo is true luxury. The site for this private residence is an urban gap left over from relentless sub-divisioning, a 22m deep yet only 4.7m wide strip perched between built masses in central Tokyo. When the client found this land, we were asked to give an advice. It was a strip of pentagonal land facing west with only a pair of parallel boundary lines. Because of this land condition, it was valued lower, almost 30% larger than regular priced lands for the same cost. This is a house where deaf parents and two children are living. The two sides of the premises are facing narrow roads in an overcrowded residential area in Itabashi ward, Tokyo. The small main building built five years ago became so narrow for dwellers for three generations that they bought a piece of land neighbouring to their house to build an annex. Akira Koyama + Key Operation Inc.